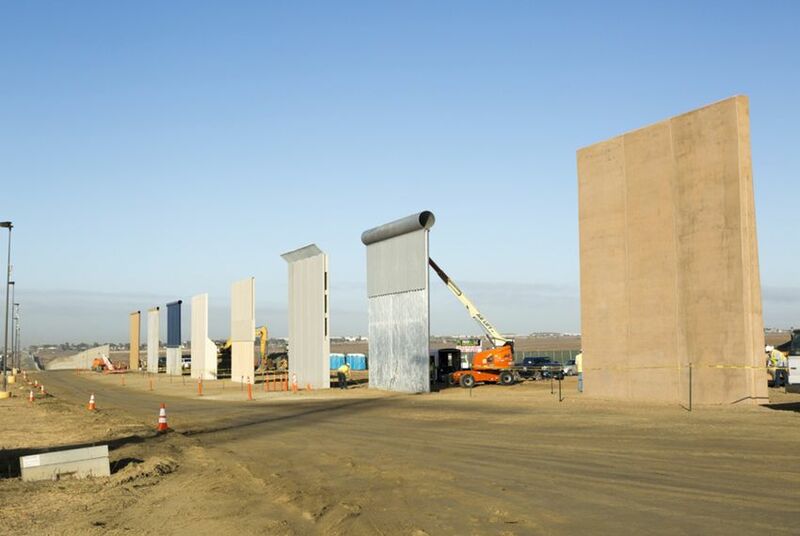 U.S. Customs and Border Protection will test border wall prototypes over the next two months, the agency said Thursday. Completion of the prototypes signals the Trump administration is making progress on one of the president's campaign promises. Construction of the controversial barrier was a hallmark of Trump's presidential campaign, and he moved forward with the process shortly after taking office. In a Jan. 25 executive order, he mandated that agencies “take all appropriate steps to immediately" plan and design the wall. His promise that Mexico would pay for it, however, hasn’t panned out. The Mexican government has repeatedly rejected that notion. The total price tag for the project isn't clear, though some reports state the figure could exceed $20 billion. But other lawmakers, including some Republicans, have rejected the notion of such a wall and have argued instead for a “smart” or “virtual” wall that uses technology, including sensors, drones and other efforts, instead of a physical barrier. According to Thursday’s news release, CBP will test the San Diego prototypes in several areas, including anti-digging, climbing or breaching strengths, to determine whether they are safe for U.S. Border Patrol agents and whether they impede traffic.